NTUC Enterprise will be acquiring home-grown brand Kopitiam as part of its efforts in increasing the accessibility of affordable cooked food in Singapore. The transaction is expected to be completed by the end of 2018, subject to certain regulatory approvals and other customary conditions. Following the completion of the transaction, NTUC Foodfare and Kopitiam will continue to operate separately, with its respective management teams and employees remaining in place. Customers, employees, stall tenants and other stakeholders are assured that business will continue as usual, the statement read. In addition, both entities will work together to leverage mutual capabilities and seek out common opportunities for synergies, including the use of technologies. Through the combined footprint of NTUC Foodfare and Kopitiam, NTUC Enterprise aims to “strengthen” the former’s ability to provide affordable cooked food while carrying out its social mission of moderating the cost of living. NTUC Enterprise and its eight social enterprises has been providing access to affordable yet quality goods and services in areas such as health and eldercare, childcare, daily essentials, cooked food and financial services. NTUC Foodfare also works with hawkers to offer opportunities for skills development and placements. Kee Teck Koon, executive director, NTUC Enterprise said that the acquisition of Kopitiam will complement NTUC Enterprise’s existing cooked food operations by NTUC Foodfare. “Kopitiam and NTUC Foodfare share the common objective of making quality cooked food affordable and accessible to all. We will leverage our combined strengths to contribute to improving the vibrancy and resiliency of this daily essential sector in Singapore, with the ultimate goal of creating better experiences for our customers, and opportunities for our employees and other stakeholders,” he added. 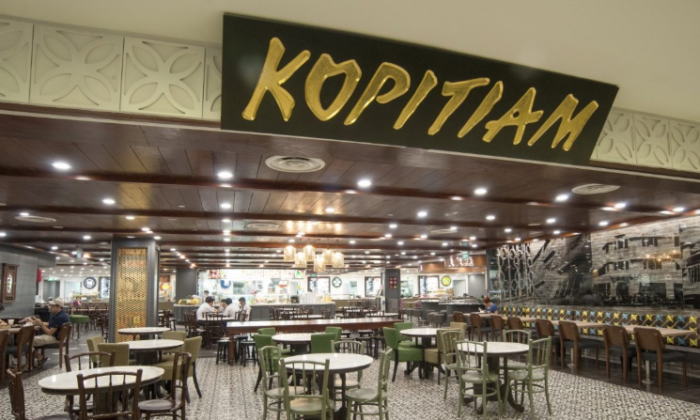 Founded in 1988, Kopitiam operates approximately 56 food courts, 21 coffee shops, three hawker centres and two central kitchens. It has more than 1,000 staff employed under its brand and manages more than 1,000 food stalls thus far. “Kopitiam started from humble beginnings and we have built the brand into a successful household name. Today, our customers enjoy a good selection of cuisine at affordable prices. NTUC Enterprise and Kopitiam are both committed to protect the interests of our customers and the livelihood of our stall tenants. We are confident that NTUC Enterprise will bring Kopitiam to new heights in serving our community,” Lim Bee Huat, chairman, Kopitiam Investment said. The Kopitiam management team will be led by managing director, Alden Tan, who aims to continue growing the brand, he added. This will give Tribe the opportunity to tap into the telco’s millions of mobile data users. .. Retailers are concerned the latest proposal to limit the amount of baby formula tourists can buy would damage the city's reputatio.. The finalists have been named for this year's Mob-Ex Awards Hong Kong. Did you make the cut?..